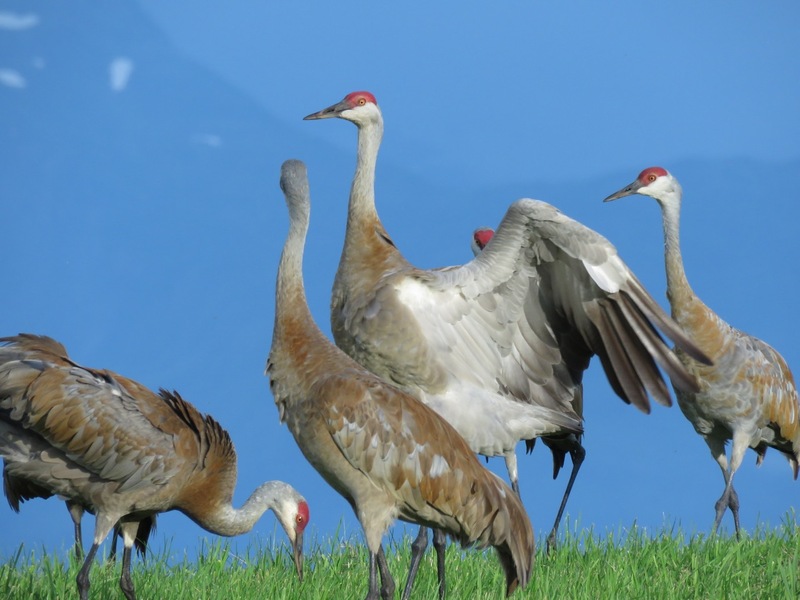 The past few weeks, Kachemak Crane Watch has been receiving reports of Sandhill Cranes walking roads in town that are very busy with speeding cars and near power lines. Callers are asking why cranes are in this part of town in the middle of the street. Many callers are concerned for the cranes and noted people in the area are feeding corn to attract cranes to their homes. When I have given Kachemak Crane Watch presentations about cranes and folks ask if it is ok to put out corn, I tell folks corn should not be put out to attract cranes if they live near power lines, near a busy street or congested areas where cranes walk down or alongside the road, or where cranes crossing the road might get hit by a car. Many roads in town are dangerous for cranes. Cars driving too fast on roads, with poor visibility due to blind corners and hills, may suddenly encounter cranes in the road or along side the road. Cranes in the road can be struck, killing or injuring the crane and potentially damaging the car and injuring occupants. Panicked cranes can fly into roads and be hit by passing cars. Power lines are a major mortality factor for cranes and many are killed or badly injured crashing into them when they fly off in a panic. I have seen cranes with their jaws just hanging, a severe injury most likely caused by catching their beak on a power line. These cranes most likely die a horrible death. 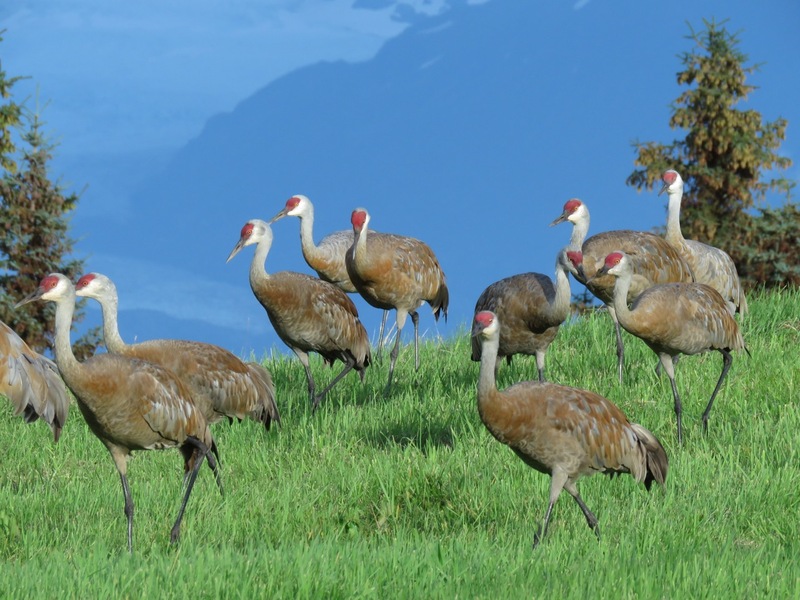 Cranes are wonderful to have around, but attracting them into a busy neighborhood not only endangers the cranes, but also may cause problems for people who have gone to a lot of trouble putting in elaborate gardens. Cranes may destroy garden plants and flowers in search for worms. Use common sense and err on the side of keeping cranes safe. If you live near hazards to cranes, don’t put corn out for them. The cranes will find sufficient food to survive without the addition of corn to their diet. This entry was posted in Blog on August 17, 2016 by Nina Faust.